Water damage can be one of the worst problems to deal with in your home. Water damage can be one of the worst problems to deal with in your home. Not only can it be expensive and difficult to fix, but water damage can leave stubborn issues with your home since it can be so hard to identify in the early stages. Because of this, it’s important to be proactive about water damage and any problems with your plumbing and get regular plumbing system inspections. To avoid expensive property damages, follow these tips for preventing water damage in your home. Leaky pipes can go unnoticed for long periods of time before you catch the water damage in your walls or basement. You’ll want to avoid burst pipes and flooding, which can result in serious damages to your home’s infrastructure, so it’s an especially good idea to inspect your pipes for problems before the harsh winter when pipes most often freeze and burst. Since many pipes are “hidden” in the walls, leaks can be hard to spot. It’s a good idea to keep an eye on your water bill and look for any unexplained changes that could indicate a hidden leaky pipe. Excessive condensation appears in humid areas of your home and form puddles, which can create problems in your attic, crawl spaces, basement, or other vulnerable areas. This condensation is often associated with fixtures like air conditioning units, which usually uses a condensation pan to prevent puddling and other water damage issues. If you’re noticing unexplained puddling and condensation in your home, it could indicate a problem with your air conditioning. When inspecting your home for plumbing issues, every water fixture is suspect. Your toilet, sinks, bathtub, dishwasher, water heater, and more can cause any number of issues or be subject to leaking. Fixtures like the dishwasher and toilet can be especially vulnerable to leaking due to problems with any number of moving parts involved. 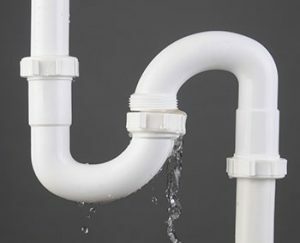 If your fixtures are leaking or draining slowly, you should bring in a professional to prevent any larger water damage. Your roof should never allow water to pool. In fact, even the flattest-looking roof will have a slight curve in order to prevent water retention. Especially in the rainy fall and snowy winter, keep an eye on your roof to make sure that no water damage is occurring. Pooling water and heavy snow can compromise your roof’s infrastructure and result in leaks or even collapse, which will mean serious water damage in your home and costly repairs.